This posting officially cracks open Ronnie’s Vault. Most of the previous tapes were just shows that survived living in the backseat of my car, various spring cleanings, and dusty moving boxes. Ironically, Ron’s tapes were actually labeled and treated well…you might call it a “collection” even. Interesting to hear what he chose to save. For this particular show, the sets are refreshing… many classics I haven’t heard since. Historically this is truly show #52 in that it closed out the first year of Vibes and Vapors broadcasting. Thanks goes to my man in Staten Island for getting this little benchmark on tape. This is pretty much the next installment in the freestyles from the previous week. I love how right after I explain the whole cursing thing someone drops “sh–” on about their 7th word. Gotta love those cats, man. Extra shouts to Shakir for being a good sport when we put him on Mic Lockdown. 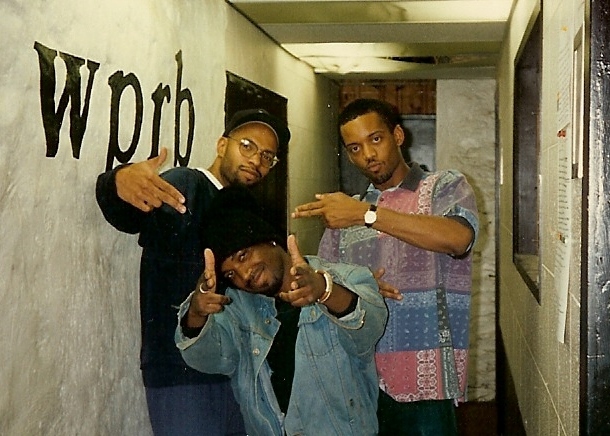 Shouts to Phil Jackson from Side B Radio on WPRB Sundays 5p-7p. Thanks to everyone for tuning in and logging on. It was one of those truly special days, man. Here’s the replay, complete with technical “flavor” in the beginning as we stall for time while the previous show moves their equipment out and we install ours in a matter of minutes..and make sure that it was recording…enjoy. Playlists are in the comments area.